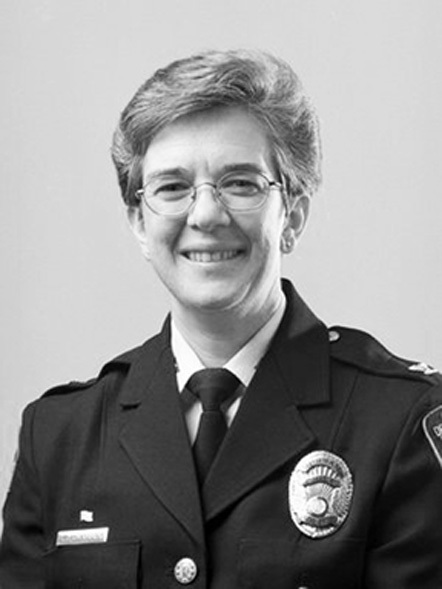 Teresa Chambers was Durham’s first female chief of police. Her accomplishments include implementing bi-weekly crime abatement briefings, modeled after a similar program adopted by the New York City Police Department, and developing a Special Investigations Division designed for rapid deployment to areas needing increased police presence. Such efforts, as well as her focus on controlling gun violence, reduced the crime rate in Durham and improved morale within the department. The Maryland native received a bachelor’s degree in law enforcement and criminology from the University of Maryland University College and a master’s degree in applied behavioral science with a concentration in community development from the Johns Hopkins University. She also graduated from the FBI National Academy and the FBI’s prestigious National Executive Institute. In 2001, she left the Durham police force to take a position as chief of the United States Park Police.